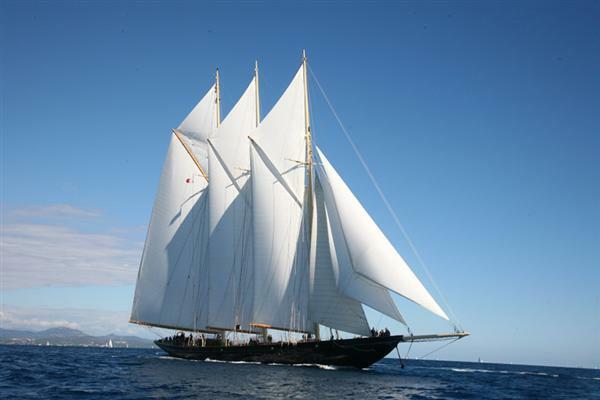 Schooner – a sailing vessel with fore and aft sails on three masts. The foremast being shorter than the mainmast which is no taller than the mizzen mast. 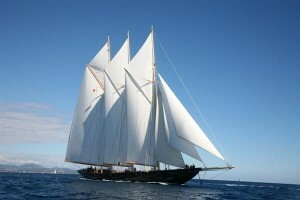 Originally gaff rigged, nowadays many carry bermudan sails.